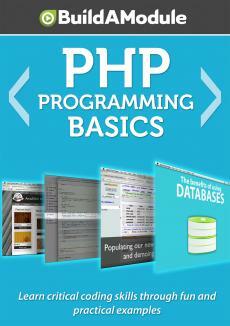 Now so far we have used a number of native PHP functions, that is, functions that come with PHP by default. We can use them at any time. But we can also create our own functions and the point of creating our own functions is that sometimes we want a bit of code, a bit of logic that we want to apply to varying data. So for example, if you remember our peach example from before, we created some random text, random adjective and a random adverb and some random punctuation around this peach idea. But what if we wanted to switch that up a bit and use some random generated strings for other purposes like for example creating a twister dial that will tell us exactly which color to put which limb on. Well, as we'll find out as we work through the examples, we can adjust our code slightly and wrap it in a function to be able to do something exactly like that without too much work. We can make some minor adjustments and wrap a function around our code and be able to use the same function both for our peach example and for a twister dial. But first, let's go ahead and start by looking at the structure of how we define a function. I'm going to jump to our resource pack directory and I'm going to open up the 12th step which is called creating functions. I'm going to go ahead and copy all of the code and paste it over the code that's currently in the test dot php file and I'm going to save it. So here what we're doing is defining three functions and then we have some code that's commented out where we are using these functions. Let's go ahead and look at the structure of our first one.